Progressive Education is a theory of education that stresses children's self-expression, and individual attention. 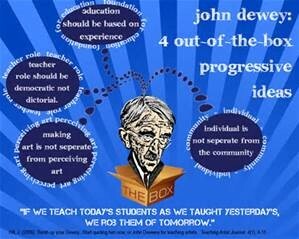 Progressive Education allows everyone to think and process for themselves. It means that we are all free to pursue knowledge without any classification or judge on weather its right or wrong. Philosophers believe that it provided the school with a new opportunity–indeed, a new responsibility that eased the tension created by the immense social, economic, and political turmoil. 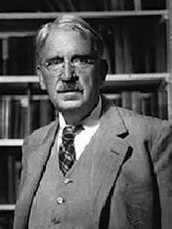 John Dewey was an American philosopher, and educational reformer whose ideas have been influential in education and social reform. He went to three different universities. married Alice Chipman and had 6 kids and adopted one. He founded 5 schools 3 universities (Univ of Chicago Lab School, University of Chicago, and American Association of University Professors). He also founded The New School and Lsu Laboratory School. He died on June 1st 1952. He lived to be 92 years old.